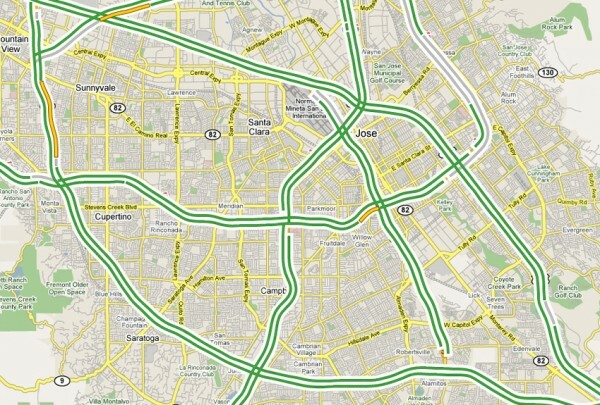 If you were to venture over to Google Maps right now, you’d notice a new tab in the upper right-hand corner that reads “Traffic.” Thats’s right; Google now offers real-time highway traffic congestion data for 30 major cities, including San Francisco, New York, Chicago, Dallas, and Los Angeles. 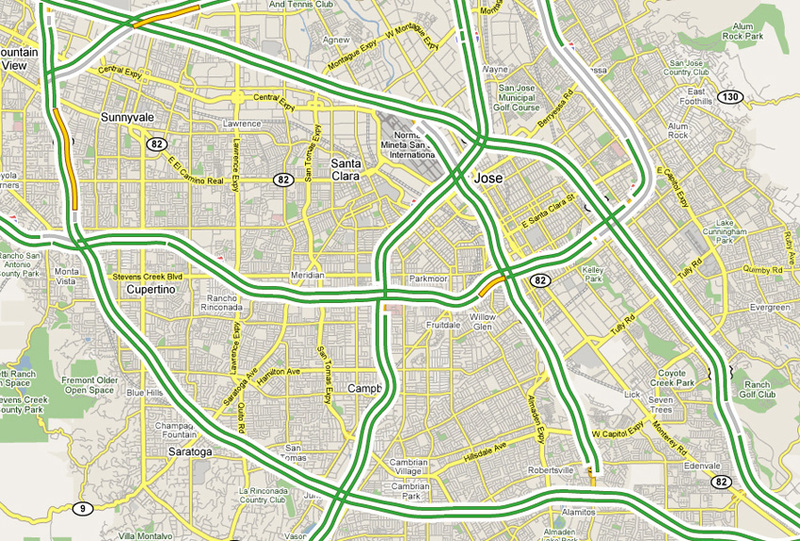 As of yet the system is still in its infant stages: Google Traffic is only capable of displaying the congestion on major highways and does not offer detours based on incidents. It also isn’t exactly the most accurate system available, but it’s a pretty good start. Google isn’t the first major company to try to alleviate traffic congestion by informing commuters about traffic conditions. 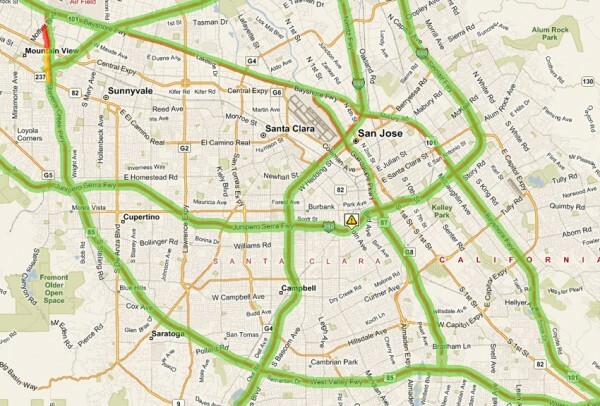 Live Maps has had a similar service for quite some time now and they’re offering additional information besides simply the speed of traffic. One of the nicer features on Live is its ability to display road construction with little warning icons to indicate the exact location. Once hovered over, these icons will expand into text boxes to explain the construction plans, the severity of ongoing constructions, as well as start and projected completion dates. Hopefully we’ll see more companies entering this arena, so that the competition will motivate these companies to keep developing and improving these systems for the benefit of commuters everywhere. Update: Yahoo! 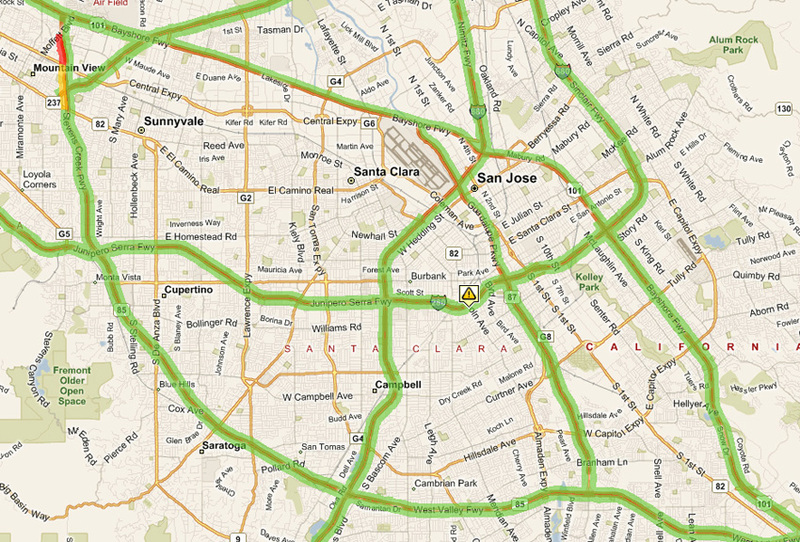 Maps has pretty good traffic data as well!